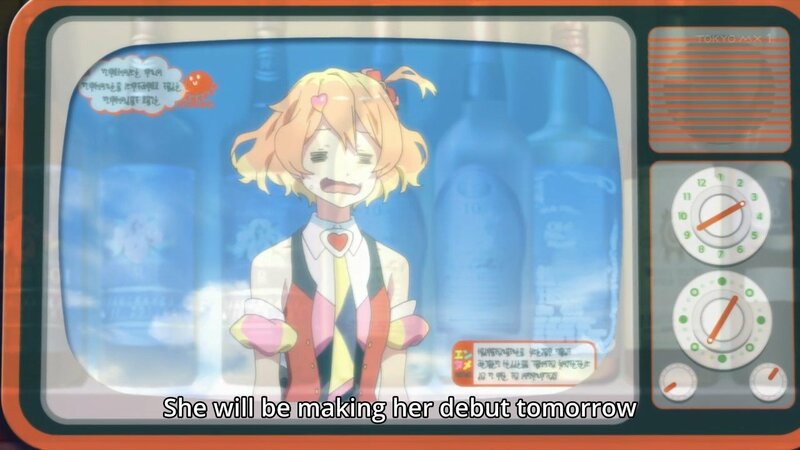 The fourth episode of Macross Delta has us see Freyja preparing for her debut and we got introduced to another term in the movie, the Waccine. The Waccine just works like a vaccine where the Walkure will be off performing in various locations live as their songs suppress the Var syndrome from ever coming out. 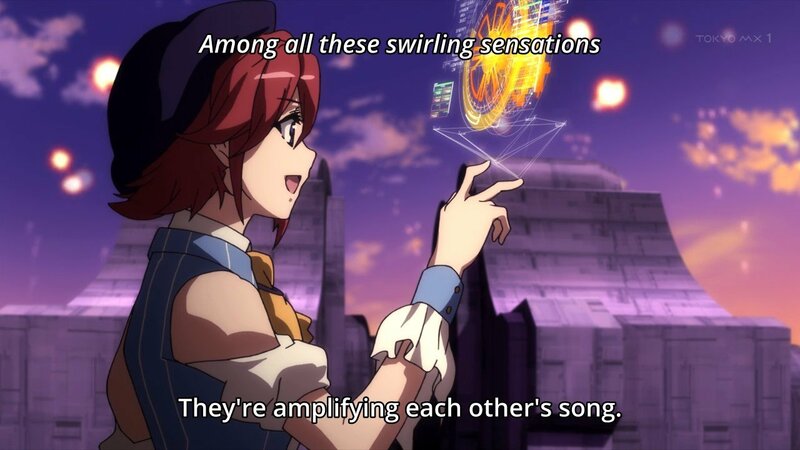 And we also get to hear in this episode why the Walkure needs to perform live as well. 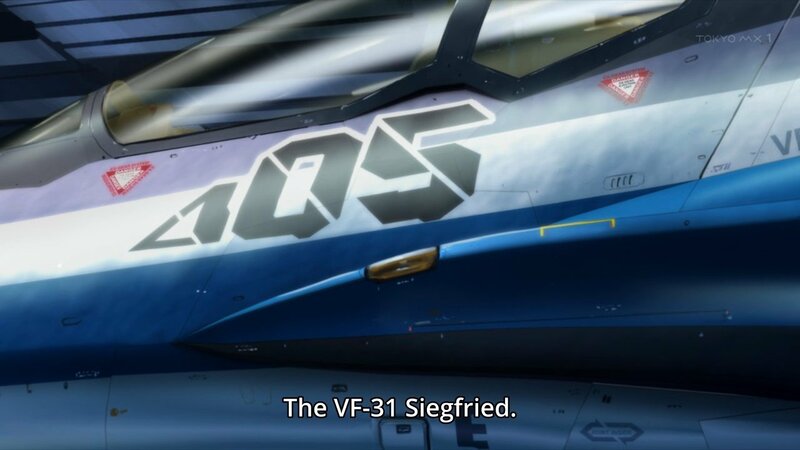 We also get to see here Hayate’s very own customized fighter plane the VF-31 Seigfried. 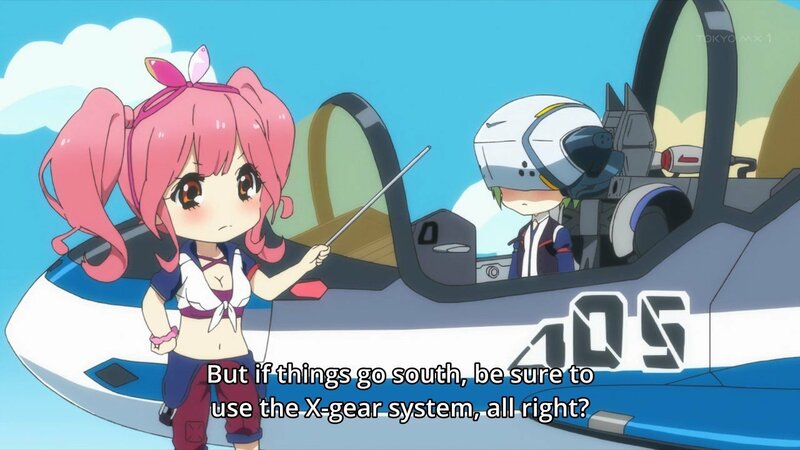 They added a new system just for him, the X-gear. Sadly, we wont get to see this system in action in Episode 4 but I’m assuming that this system will capitalize on hayate’s specific style of flying that also incorporates dancing. 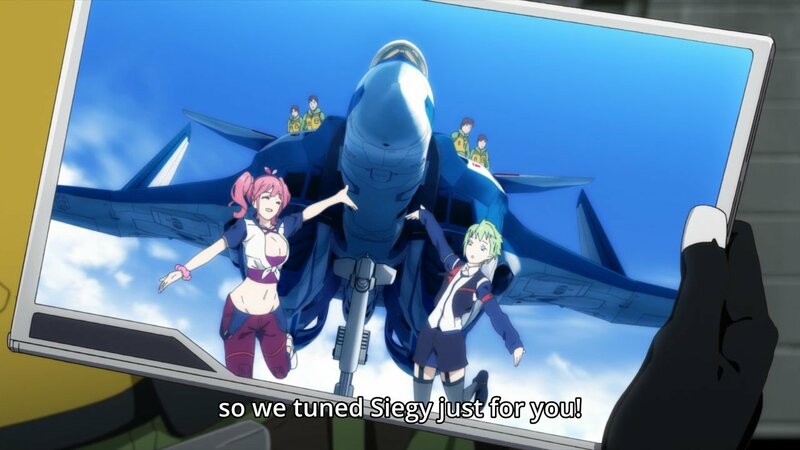 I’m hoping this would be awesome since Makina Nakajima and Reina Prowler, Walkure’s mechanic, resident mech and hacker (respecitvely) were the heads who modified the fighter. 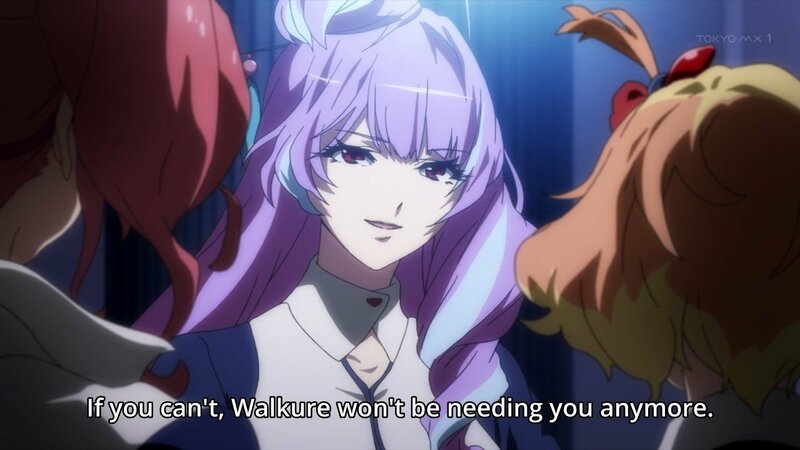 The pressure is on Freyja as she is threatened by Mikumo that if she doesn’t satisfy her tonight (yeaaaaaah) she won’t be needed by Walkure. While this seems harsh Freyja rises to the occasion and performs splendidly amidst her clumsy antics on stage. Of course what’s a Walkure performance without the interference of the mysterious fighters. This time around the fighters are able to disable the performance machines of the Walkure and seem to have the upper hand. However, the Delta Platoon was able to keep things from really turning bad against the Walkure. 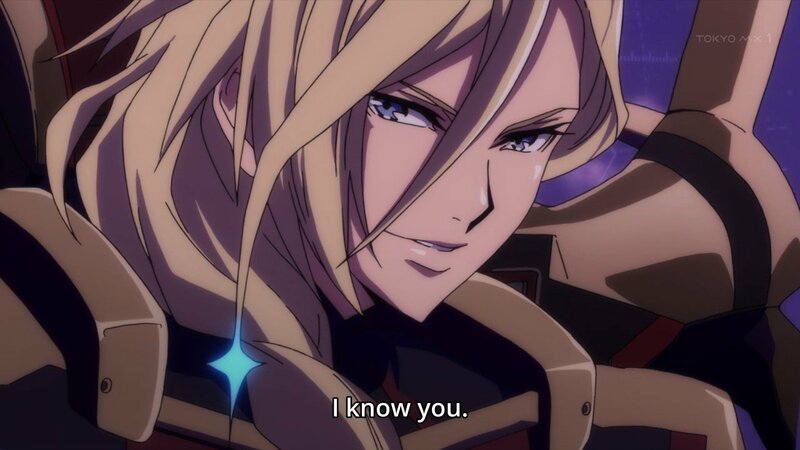 However, the mysterious voice that came out in the first episode appeared once again and have been able to control the Spacy reinforcements. The Var controlled spacy ships are able to work in sync, a behavior previously not seen in Vary Syndrome victims and has the Delta Platoon and the Walkure surrounded. 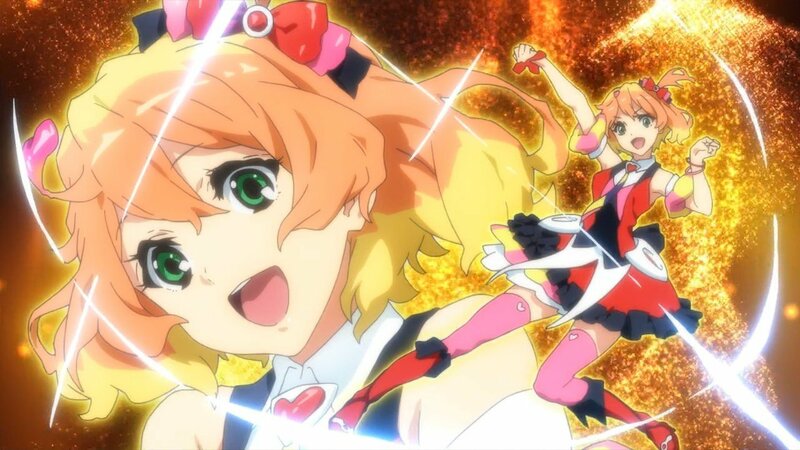 With things seemingly bad for Walkure, Mikumo and Freyja pulls off all the stops and perform with their hearts out. Cancelling the var effects from the affectd Spacy pilots and seemingly turning the tides against the unknown fighters. 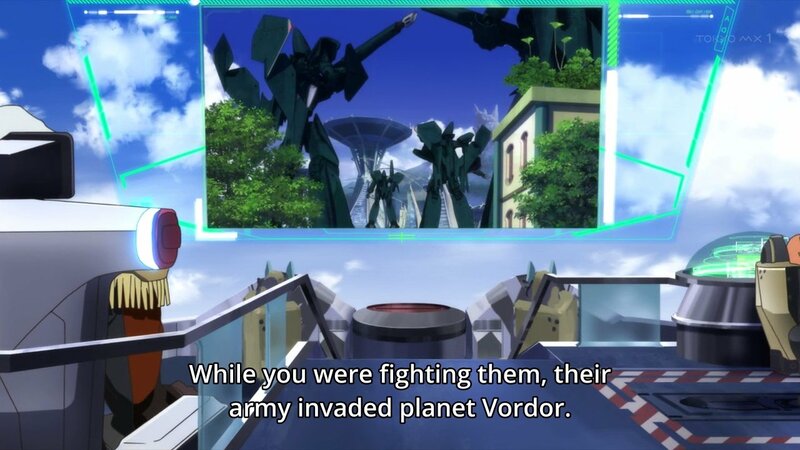 However, it turns out that this attack was just a diversion and these unknown fighters have a bigger agenda than just destroy the Walkure. 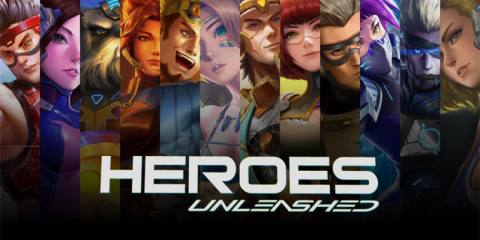 It’s during this report that they finally find out who the unknown attackers are. 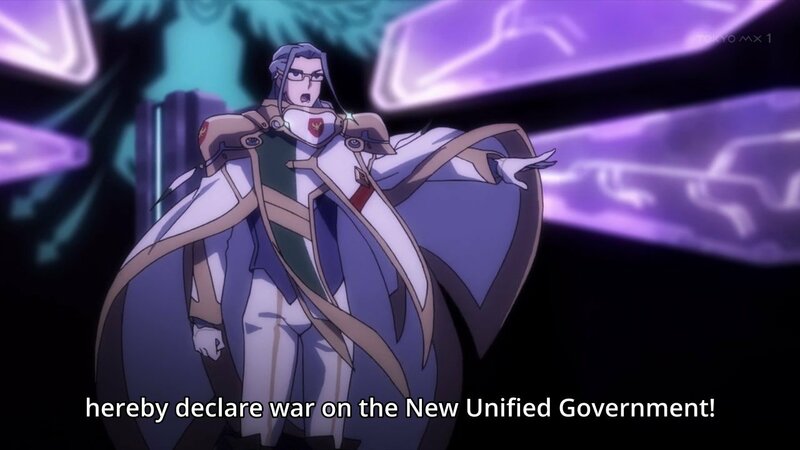 Overall I liked how the episode pans out since this tips the story to a bigger scale specially now that the big bad has finally shown their colors. 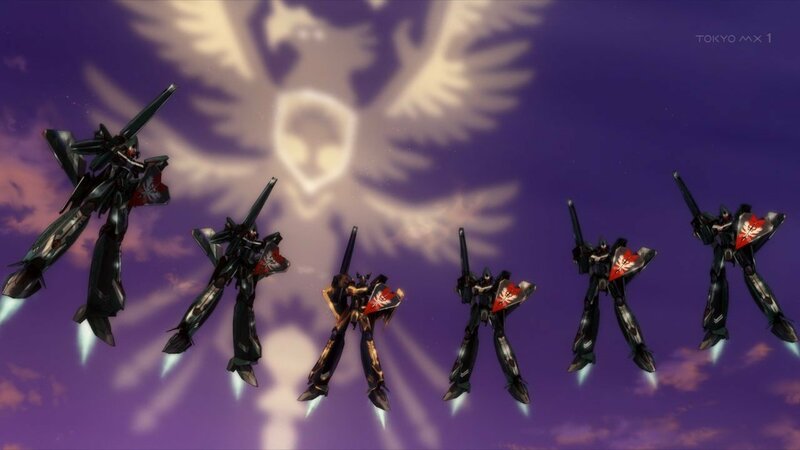 While it’s no surprise that these guys are windemerean (as seen in epsiode 2 where it was mentioned that the thing on Freyja’s hair is what you call a rune). 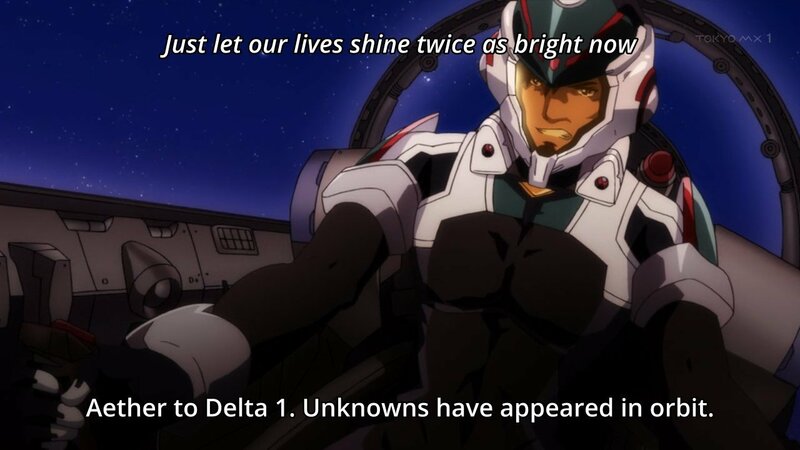 But the reveal came at such a point where you think the Walkure and the Delta Platoon are winning. I have totally enjoyed and loved the way the build-up these moments in battle which culminate in the powerful catharsis the songs along side the fights provide. While the songs are repeated ones, the power they bring isn’t diminished with each play. 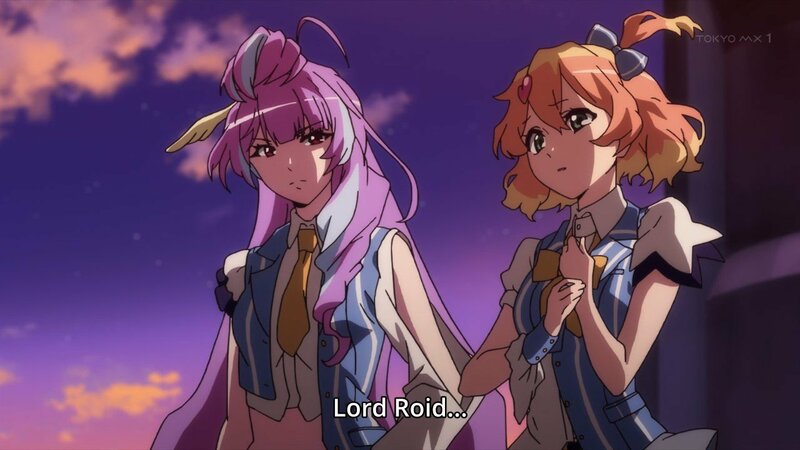 With that I am truly excited what happens in the next episode since it seems like Freyja knows Lord Roid. What would happen to her now that her race waged war against the New Government? Would she, as the new member of Walkure be the pariah for public disdain for the group? With this episode presenting more questions than answers. I’d like to see how they pan out in episode 5.